HOW MANY PARTICIPANTS DO YOU HAVE IN A GROUP? We keep our groups small - typically 10-15 participants. Our maximum is 20 participants, which is only possible in a few of our locations, and in which case there are 2 teachers in a room. We believe that this way we can offer our guests so much more attention and a possibility to really grow and evolve in their practice during the retreat. The approximate times are always in the retreat description, and the specific information is sent out by email as a welcome letter upon registration. IS IT POSSIBLE TO SPEAK TO A LIVE PERSON TO ASK MY QUESTIONS? Absolutely yes! Please send us a line and we'll schedule a call and answer all your retreat related questions. WHAT SHOULD I BRING TO MY RETREAT? A full list of things to bring will be sent to you as a part of your welcome letter. There is no standard list because every location is different and therefore different clothes, props and additional items may be required. WHAT KIND OF FOOD CAN I EXPECT AND CAN YOU ACCOMMODATE SPECIAL DIETARY NEEDS? You can expect delicious vegetarian cuisine, with occasional fish options at our retreats. And we can most certainly accommodate most dietary requirements - please do inform us in advance. CAN I BRING A NON-PARTICIPATING PARTNER/FRIEND/SPOUSE? Generally, we can only accept participating guests. I'M A BEGINNER - CAN I JOIN? 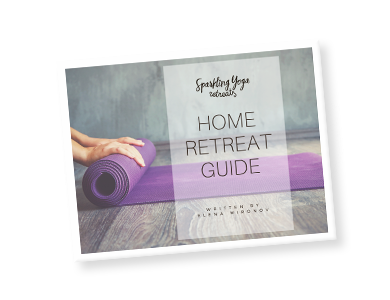 Some of our retreats are designed for all levels including beginners, so check the retreat description to see if a specific retreat is right for you. If unsure, contact us! WHAT IS A MINIMUM NUMBER OF PARTICIPANTS FOR THE RETREAT TO TAKE PLACE? Our minimum number of participants is 5, but on average we have 10-12 participants per group. Our booking terms and cancellation policies can be found here.